This post is sponsored by Jo-Ann Fabrics. I choose to create this craft inspired by what we did during the summer. 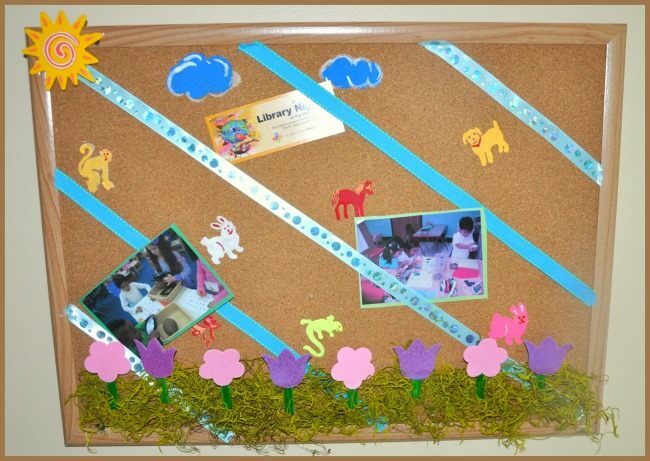 Summers are always a favorite time to make zoo trips and gardening and that’s the theme for my simple ribbon cork board project.I’m hoping to teach her to independently organize her papers from school. Getting a pre framed cork board is a great time saver and money saver. You can choose to paint the frame to match your theme. I choose to not paint it as it matched my wall paint and I wanted the sketch to pop out more. I also ran the ribbons diagonally from one corner to the other. I cut the ribbons to fit and hot glued the ends to my cork board. 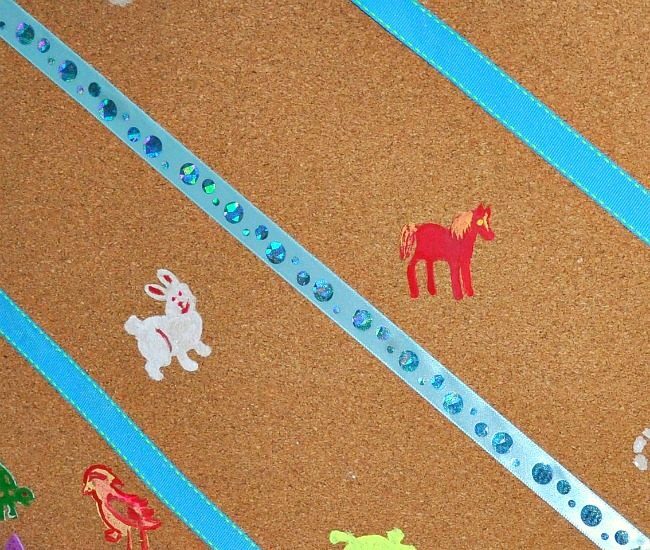 Repeat with the other ribbons to create strips with equal distance and glue the ends to the cork board. I did it this way because my board was not removable from the frame. 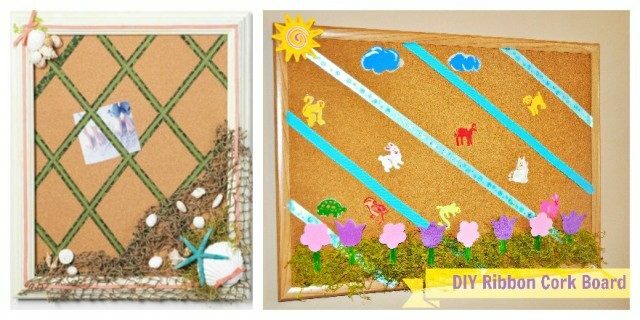 If your cork board and frame are removable I’d advise you to refer to Jo-Ann’s catalog to get your needed measurements. Once the ribbons are in place, glue the moss on the bottom to create greenery. 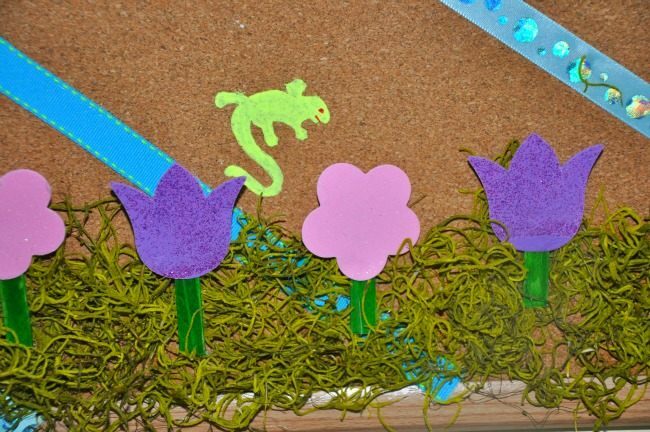 Color the craft sticks green and cut them into half and glue the flowers to it and secure it to the board with glue. 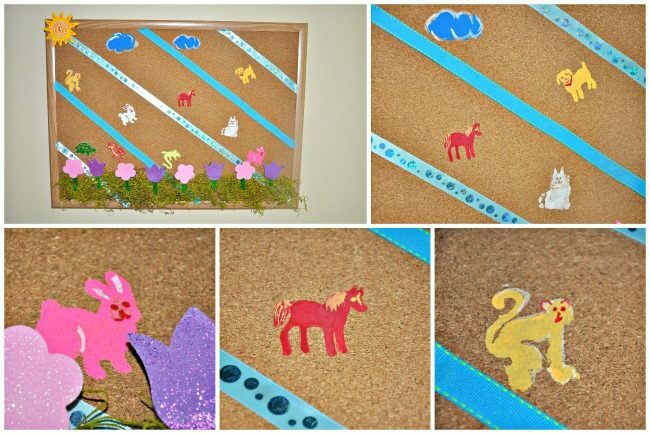 I choose some animal stencils and painted the animals to the board with acrylic paint. It was the right amount of color and pop it needed to attract my kindergartner. Add the details and you are all set. The board usually comes with its own wall mounting nails and screws and follow instructions for hanging the board. Simple and pretty and perfect for teaching and inspiring to stay organized. Here is a side by side picture of Joann’s product and ours. If this project has inspired you to make your own, visit Jo-Ann Fabric and Craft Stores Discover Connect . You’ll receive a 20% off coupon. While pinning, please remember to share it on Pinterest using #summerofjoann.